Zucchini Enchiladas: The cilantro in the recipe is never officially added. Add it to the zucchini as it cooks on the stove top. Salad in a Glass: Delicious! I love this! My Salad in a Glass! It made so much. I think I drank it for three days. 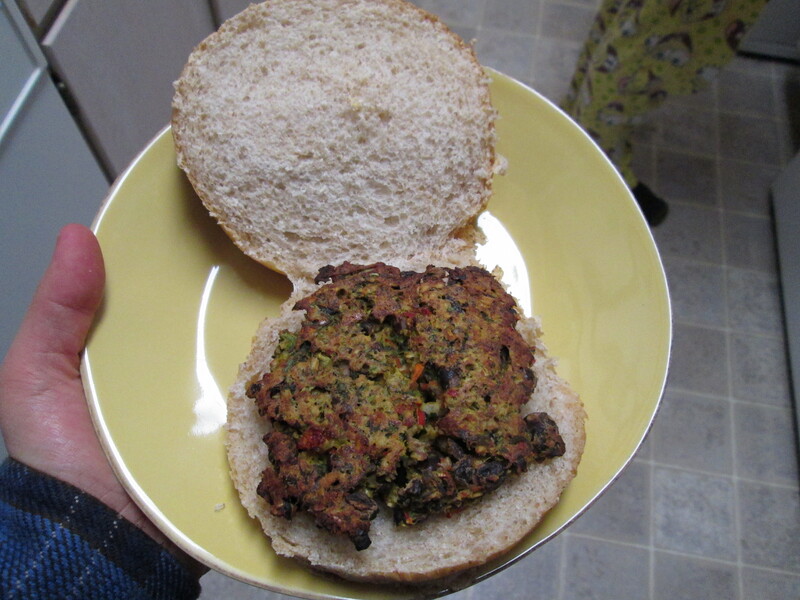 Spicy Black Bean Burgers: I took a pic of the completed burger! It doesn’t fall apart nearly as much if you use the longer baking times. Also, if you don’t OVER chop, it helps a lot, too. I’m going to make the Salad in a Glass tomorrow! 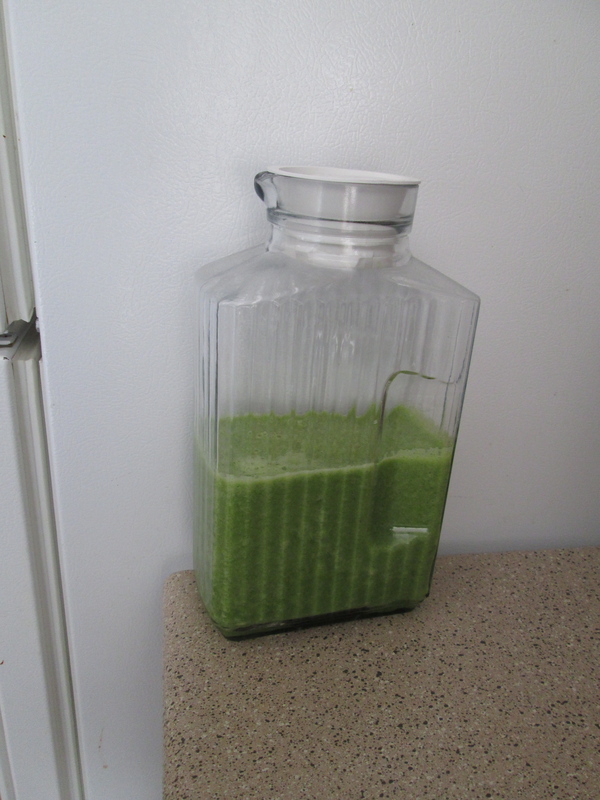 It’s such a great way to get lots of green veggies!